Inspiring messages of faith, hope and love. The Secret Life of . . . Rob Schenck? Maybe you saw the adventure comedy-drama The Secret Life of Walter Mitty staring Ben Stiller. It’s the fun story of a very ordinary guy that works for Life Magazine and goes on an unlikely, action-packed, thrill-seeking quest to find a lost film negative he thinks will make the perfect cover photo for the last printed issue of the beloved journal. I watched the movie two weeks ago to kill some time on my 10-hour flight to Istanbul, Turkey for my first visit to that country. How apropos, really, because this trip was my own secret adventure. You probably know me only for my work as a missionary to government officials in Washington, DC (which has been my most important ministry endeavor for the last 20 years), but there’s a whole other side to what I do. I’ve actually been to more than 40 countries since I was ordained 32 years ago. Most of this travel was for preaching ministry or to supervise Christian humanitarian efforts, but some of it was also to investigate and report on religious freedom crises around the world. My first forays on the religious freedom front came some 10 years ago with my board membership at the Institute for Religion and Public Policy (IRPP), founded by my long-time friend Joseph Grieboski. Joe got me involved in a dialogue between American Evangelical leaders and Moroccan Muslim leaders that would last five years and become one of the most rewarding things I’ve ever done. Joe also talked me into going with him to Sudan to investigate the state of religious freedom in that country, which turned out to be one of the most harrowing things I’ve ever done! It was another long-time friend and colleague, though, Jay Sekulow, that got me to go to Turkey. I must admit, Turkey was not on my radar screen until Jay brought it to my attention. It happened in conjunction with my acceptance of his invitation to serve as a senior research fellow with the newly established Oxford Centre** for the Study of Law and Public Policy (**British spelling), located at Harris Manchester College, a school of Oxford University in England. My first assignment was to undertake an investigation of religious freedom in Turkey, particularly as it affects Evangelical Christians. To stick with the “secret life” theme of this blog, my assignment had to do with my other “secret” post as chairman of the Evangelical Church Alliance International, one of the oldest associations of Evangelical ministers, missionaries, and chaplains here in the U.S. and around the world. This leadership position, along with my doctoral work on Evangelicals at Faith Evangelical College and Seminary, qualified me as an “expert,” and, thus, as a candidate for the Oxford fellowship. Taking on an investigation of this nature is a serious matter. To assist me in gathering data, I recruited three professional researchers. (Two Americans and one Turk doing graduate work here in Washington.) The two Americans traveled to Turkey ahead of me and conducted interviews with 24 subjects spread across the country, including on the Syrian border where they encountered gunfire. I interviewed five church leaders (mostly Turkish of Muslim background) and four government officials, two at the Turkish embassy here in Washington and two in the Turkish capital of Ankara. I submitted a 20-page academic paper to the Oxford Centre before traveling to Turkey, then gave an oral report and defense to the symposium at Harris Manchester College that included the findings of my field research. More than a dozen presentations were made at Oxford on a variety of subjects related to Turkey, so I learned a lot about the country and its culture in the process. We cannot ignore Turkey or take it for granted. It is hugely consequential both to the stability of the region and to much of the world. Until recently, Turkey was known as perhaps the most moderate of Muslim majority countries. It is officially “secular,” with no singular state religion, but Islam is favored in just about every way and without apology. What I found surprising was that Christian churches do meet openly throughout Turkey, there are Christian radio and television stations, active Christian social media pages and websites, and Bibles in Turkish are readily available to those that want them. Compared to other Muslim majority countries, the situation in Turkey is remarkably free and open. Still, there are grave problems. Christians do suffer social discrimination and they do not not have confidence that the current government will protect them against acts of prejudice, including violence. For the next several years, I will be continue my study of Turkey, and will pursue advocacy for Christians there, as well as work for greater U.S. attention to Turkey over all. As the literal bridge between east and west (the country straddles Europe and Asia), and the freest of all Muslim majority nations, not to mention it’s long, albeit stormy, role as an ally to Europe and the U.S., Turkey is a terribly important player on the world stage. It is sophisticated, in many ways exotic, and somewhat socially progressive, but the government’s recent turn towards an Islamist orientation threatens religious minorities and portends its possible global realignment. Please pray for Turkey and its people, especially its relatively few Christian inhabitants. Before I close, I want to thank Dr. Jay Sekulow and the board of trustees of the Oxford Centre for the Study of Law and Public Policy for their confidence in me. As a senior fellow, I am honored to be in their company. I also want to thank the Reverend Dr. Ralph Waller, principal of Harris Manchester College, Director of the Farmington Institute for Christian Studies, and Pro-Vice Chancellor of Oxford University, for his warm embrace of the Oxford Centre fellows. This (now not-so-secret) adventure continues–watch for updates. There will also be another installment in the Secret Life of Rob Schenck next week. It may be an even bigger surprise, so, do watch for it! Minister’s militant anti-abortion stance causes regret. Would your college, university or organization like to hear Rev. 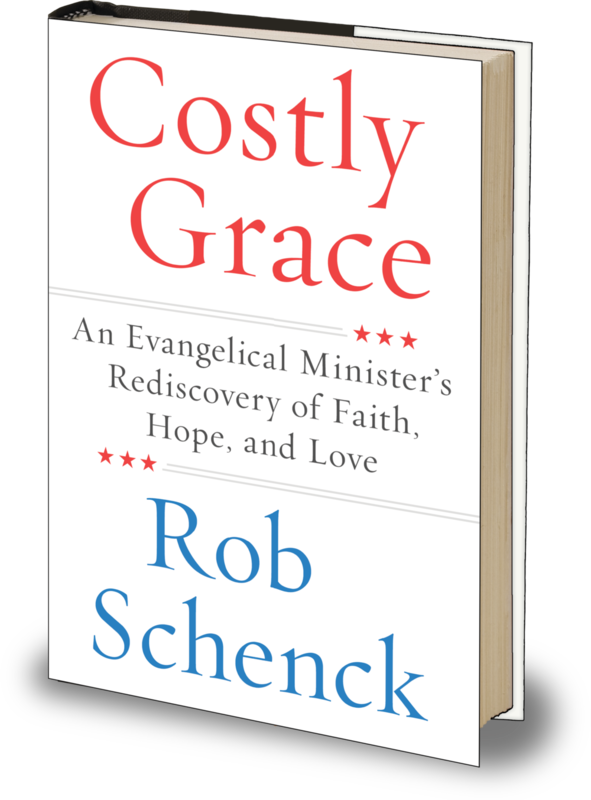 Rob Schenck’s genuine, approachable and positive message of transformational change? Take the first step and reach out to him directly today.